Preston was born on May 2, 1956 in Dallas, Texas. He passed away April 11, in Bend. Violet May Griffith joined our Heavenly Father surrounded by her loved ones April 2, 2019 at her home in Monroe, Oregon. 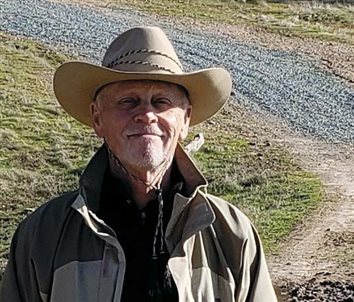 On February 21, 2019 a stroke felled Ed Helton and sent him on his eternal ride in the Crooked River National Grasslands very unexpectedly at age 73. Dan was born in West Elizabeth, Pennsylvania to Robert and Agnes Jordan. On February 15 Ted Jones of Sisters passed away at his home surrounded by family. He is survived by his wife of 56 years, Edie; his four children; seven grandchildren; and a cousin. Sisters resident Stephen C. Pyke was born on October 3, 1948. He passed February 14, 2019. Central Oregon has lost one of its wittiest, fun-loving, and compassionate people! 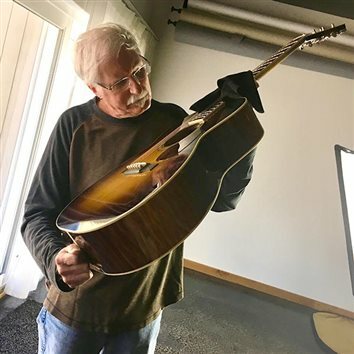 Just two-and-a-half years before the grand plans he had for retirement, Dave Blann died unexpectedly in his sleep. Frank Getty, 84, passed away February 13, following a lengthy battle with Alzheimer's disease. John was born in Portland, Oregon the son of Jack and Dona McLaren (deceased). He grew up in Beaverton and graduated from Beaverton High School in 1961. After completing his military service he met and married Kay (Shoop) in 1966. They recently celebrated 53 years of marriage. They moved to Sisters, Oregon in 1978, where they continued to reside for over 25 years. During this period they owned and operated Sisters Mercantile. Terry Brotherton Terhune, age 77, passed peacefully on January 31, 2019, at OHSU Hospital with her family surrounding her. Carol Fay (Lash) Elder, Age 76, passed on January 17 at home with family after a long road with cancer. Carol Marie (Matthees) Schroeder, born November 29, 1937 in Owatonna, Minnesota, passed into our Lord's heavenly hands on January 28, 2019 while RVing in Sierra Vista, Arizona. Ronald Lynn Broaddus of Fredericksburg, Texas passed away on January 14, at his home, at the age of 79 years. Diane Hunt, 69, of Sisters, passed away January 16, 2019, after a brief battle with cancer. Jenny Lynn Cashwell of Sisters died January 12, 2019. She was 37 years old. Gerrald Arlen Wassom died on January 3 at St. Charles Hospital of a massive stroke. Gerrald was born in Albany, Oregon, on June 23, 1938. After working in rye grass fields and in the woods of northern California, he moved to Yoncalla, where he met Barbara Clark, whom he married in August 1960. He worked at Wooley Logging Company in Drain before moving to Springfield, where he felled timber for Weyerhaeuser for 24 years, retiring in 1986. Tony Lee passed away peacefully at his home in Sisters on December 27, surrounded by the love of his family and friends after a hard-fought battle with cancer. He was 69. On Thursday, December 6, 2018, Charles Woolcott (Bud) Fennimore went to join the Lord at the age of 59, after a courageous battle with stomach cancer. He was preceded in death by his parents, Boots and Chuck Fennimore and his father-in-law, Allen R. Shockley. Donald Edgar Gilman was born June 12, 1929, in Portland to Adrian Kenneth and Alice Elizabeth (Fredrigill) Gilman, and warmly welcomed by his older brother, Basil Gilman. 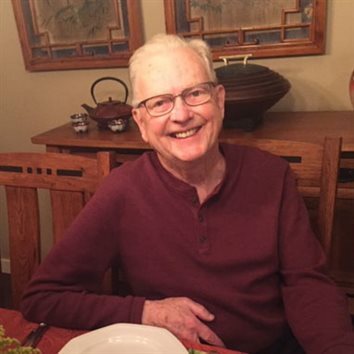 Lloyd Fields, former resident of Sisters, passed away November 29, 2018. Lloyd was born in Snyder, Oklahoma, May 13, 1929. He moved with his family in 1936 to Malin, Oregon, where he grew up and attended school.